A New York Times investigation turned up evidence that the sole test well drilled in Alaska's Arctic National Wildlife Refuge was a dry hole. The bitter debate over oil drilling in the Arctic National Wildlife Refuge coastal plain may be much ado about only a little oil, according to an investigative story published Tuesday in the New York Times. The only well that has been drilled on the coastal plain — a well sunk in 1986 — was a flop, according to legal records sequestered in Cleveland and examined by the Times. Results of that exploration well have long been a tightly held secret, but the Times report tracked down both data and the account of an attorney who was privy to that data. That now-retired attorney, Sidney Silverman, represented Standard Oil of Ohio when it was being acquired by BP. He told the Times that the well did not discover any valuable oil. “The discovery well was worthless,” Silverman told the Times. The 1986 well was drilled by Chevron and BP on land owned by the Kaktovik Inupiat Corporation, which is owned by the villagers of Kaktovik, into mineral rights owned by Arctic Slope Regional Corp., the Native corporation owned by Inupiat from across the North Slope. The well is called the KIC-1 well and was located about 15 miles southeast of Kaktovik. Silverman examined well data in his role as advocate for Sohio, which had an ownership share in the well, the Times reported. “I assure you right now that if that property were valuable, if it had any value, I would not have agreed to that merger,” he told the Times. On Tuesday, BP spokeswoman Meg Baldino told ArcticToday that the company could not comment on the Times story or the KIC-1 well in general. Also declining comment on the 1986 well was Dan Seamount of the Alaska Oil and Gas Conservation Commission, the state agency that regulates oil wells. Kara Moriarty, executive director of the Alaska Oil and Gas Association, said whatever results were turned up by that well do not diminish the oil promise of the ANWR coastal plain. 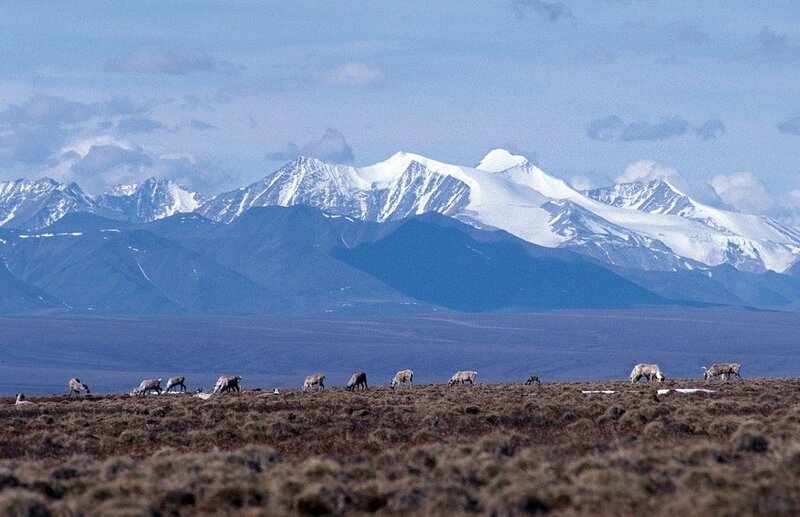 The most recent USGS resource estimate for the ANWR coastal plain, including adjacent state and Alaska Native lands, is 10.4 billion barrels of technically recoverable oil in the mean case. Additionally, it usually takes much multiple exploratory wells to make discoveries, Moriarity said. “It takes more than one well, even for a prolific area, to find the sweet spot, if you will,” she said. She cited the unsuccessful wells drilled at Prudhoe Bay before oil was discovered there in the 1968. She also cited the more recent but smaller Oooguruk oil field, operated by Italy’s Eni, where oil was discovered about a decade ago. “They had to drill 10 dry holes before they drilled the one well in the right post to generate the flow that was economic,” she said. One environmentalist agreed with Moriarty that a single dry well does not tell the whole story about the coastal plain. “It was always just one well, so it doesn’t tell you that much,” said Lois Epstein, Arctic program director with The Wilderness Society. It may affect industry interest “at the margins,” she said, but does not change the concerns about development, she said. “We believe it’s an area that should not be industrialized because it’s so fragile and sensitive and important to the Gwich’in,” Epstein said. Even if there is no oil to produce, she said, the exploration activities that the Trump administration is poised to permit would be damaging. That starts with the 3D seismic surveys that SAExploration wants to start next winter and that could happen even if there is no lease sale, Epstein said. Among the treats from seismic surveys are the loud noises that will come from trucks traveling in areas where polar bears are denning, she said. “We know it has effects on polar bears,” she said. The Bureau of Land Management is not conducting a full environmental impact statement on the seismic plan — a decision that’s a mistake, according to arguments made in a recent report written by Arctic experts at the University of Alaska Fairbanks.